Born in Lesmahagow, he was apprenticed as a stone mason to a Mr Cadzow in Crossford, and worked as a quarrier, hewer and builder before working with the mason and sculptor Robert Forrest in 1822. 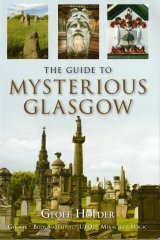 He set up as a sculptor at Milton, near Carluke, and latterly occupied a studio at Broomhill, Clydeside. His early work included a statue of a dog, clay busts of his father and brother, and the heraldic escutcheon in the pediment of Hamilton Palace (c. 1822, dem. 1928). Afterwards, he executed a series of highly regarded statues: Lord Byron (c. 1825); Robert Burns, Australia; George Canning (1827); and the Duke of York (1828). For Glasgow, he executed the first statue of James Watt in the city, for the Mechanics Institute, Bath Street (1824, now in Strathclyde University's Royal College Building, George Street), and designed the first public monument to Sir Walter Scott, George Square (1834-8), which was completed after his death by John Ritchie and William Mossman I.
Scott had become an important patron and admirer of Greenshields and had visited his cottage in 1829 and 1831. He was also the subject of several of Greenshields' commissions for portraits and statues. These include a statue for a Mr Cadell (1835); a small-scale model for a seated statue, Powderham Castle, Devon (1832); the 'Sic Sedebat' statue in Parliament House, Edinburgh, and a marble bust of Scott at Abbotsford House. Amongst Greenshields' final works were the statue of Prince Charles Edward Stewart on the Jacobite Monument, Glenfinnan (1835), and The Jolly Beggars (1835).